When walking and cycling in and around Culver City you'll notice all this nice and tidy gardens. Most of those however - in contrast to here in Germany - are maintained by gardeners. 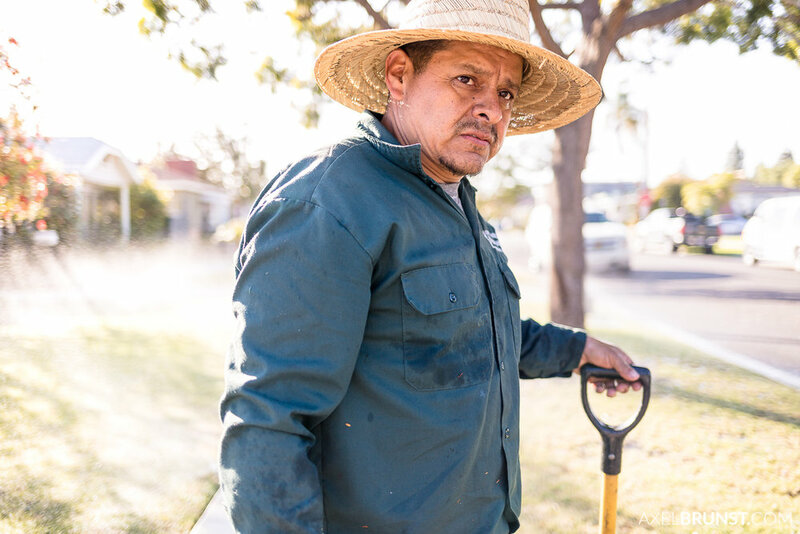 I came up with the idea to portrait the gardeners behind those anonymous gardeners. Turns out this isn't that easy. First of I don't shoot portraits of strangers that often (hence the challenge). And second they don't really want to be photographed or don't even speak English. This is the only image I got from asking 6 gardeners over the course of a week before heading back to Germany. And even he doesn't seem to be that excited an happy. I like the hat though!